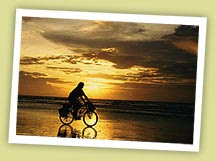 Life at the Beach: New Year, New You? 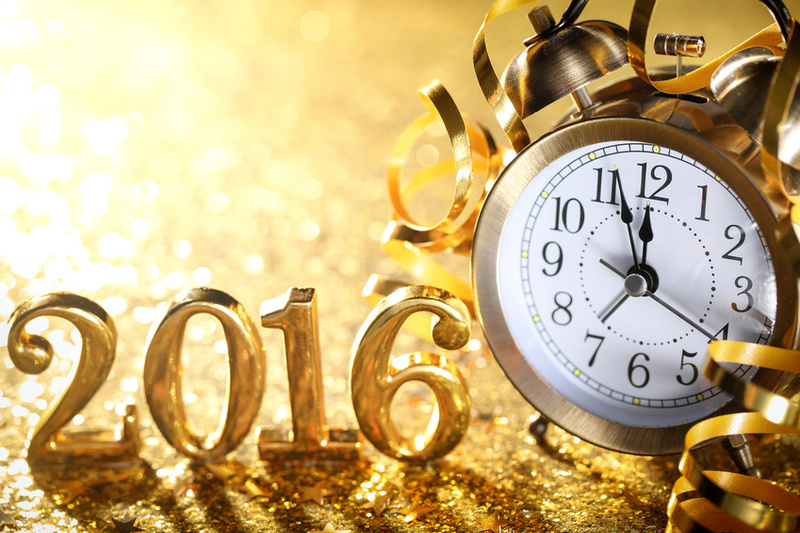 It’s time to welcome a New Year! We gleefully make our resolutions for 2016 with friends and family, announcing our aspirations to “lose X amount of weight” or “quit X”. This January, We'd like to share a few ideas that may be a little more unique and inspiring. Have a new experience – It doesn’t have to be extravagant, just something new. Do you sometimes just watch others from the sidelines, nervous you won’t be good enough to participate? Are you typically shy? Step out of your comfort zone and try something new, just once. Be it Zumba class, cross country skiing, a new sport, dancing, cooking, or anything else, you’ll feel good just trying, and might discover something you truly enjoy! Start a hobby – Everyone at some point has thought “I wish I could…” or “It would be fun to…” Make the effort this year to finally get into that hobby you’ve always wanted to. * Reading – We always tell parents, 20 minutes a day instills a lifetime love of reading in children. This same principal applies to adults as well. Read while you’re waiting, lying in bed, or sipping your morning coffee. Start a community book club and find others that enjoy your hobby as much as you. * Writing – Carve out a few minutes each day to write in a journal or start that book you’ve always wanted to write. Jot down every idea you can think of, good or bad. Your idea could be as simple as a character name, or as big as a novel outline. Or, just write down some thoughts about your day. Follow the muse! * Arts and Crafts – There are endless options for fine art and craft projects these days. Make a trip to a local craft store, check out some tutorials online, or take a class. You don’t have to be an expert to enjoy it, and anyone can learn! Engaging your mind in a creative activity, even for only 5 minutes per day, is a great way to express and de-stress. Build and race RC cars, start a new collection, learn to cook or take up a new sport. There are endless possibilities - a Google search for hobbies might present you with something you’ve never even heard of that sounds interesting. Update your look – Try something subtle or go all out, this is the perfect time of year to test out a new you. Get that new hair style you’ve been thinking of, or change the color to fit the season. Have a beard? Shave it off. Don’t? Grow one. Do something simple like trying a new clothing style you normally wouldn’t have considered just to see if it works. Make a new friend – We live in such a different world today. All too often, we occupy our idle time looking at phones or avoid speaking to strangers. This year, attempt to make at least one new friend, the regular at the coffee shop, for instance, or someone in your yoga class. Take a moment, get to know someone new. They could have a ton in common with you, or perhaps become a networking asset to your business. Try a new food - Everyone has their own tastes, and some may be more open than others. No matter your adventure level, this is a great opportunity to get out of your comfort zone and let your taste buds experience something they never have before, even if just a new dish of your favorite type of cuisine. You might find something new that you fall in love with! Remember the good times - This year, make the resolution to write down something positive each day and put it into a jar. When times get tough or the next New Year rolls around, empty the jar and read what you’ve wrote and reflect on all of the great things that have happened. Travel somewhere new - Use the New Year to get out and explore. It doesn’t have to be far, just new. Check out that museum you always wanted to, visit a neighboring town. Or if you’re able, adventure further and visit a new state or country. No matter what your life allows, just commit to seeing something new - a great way to make lasting memories! Say no - This year, make it a point to say no once in a while. Piles of laundry? NO. It’s ok to let it sit for a day and unwind. Piles of invitations and events popping up? NO. Go ahead and decline one and just take a day for yourself. Sometimes we need “me time” or chance to recoup and energize so that we can continue to do all of those things that we love. Resolve to take some time for yourself this year. Be a kid again - Vow to let loose a bit more, be a kid again. Use your imagination, play with toys, run around and be silly, it’s ok. Acting youthful keeps us young at heart. Laugh until it hurts and just enjoy life from a different perspective. Even learning a few phrases could open doors. And, it’s a great way to exercise your brain. It’s not always easy, but it will certainly be fun trying! Try something you previously failed at - If at first you don’t succeed… A new year is prime time to pick up where you left off and try again. I’ve heard this saying: don’t think of “fail” as a negative, but treat it like an acronym: First Attempt In Learning. With each attempt you learn valuable lessons for the future. Take the New Year to give it another go. Maybe this time you will succeed or maybe it’ll be all wrong, but you’ll never know unless you try and you will come out stronger for it. Organize your home - Maybe this year, make the goal to give your living space a new spin. Find new and creative ways to get your home organized. Get rid of things you don’t need or find a new use for something old. De-cluttering and organizing is a great way to revitalize your home and get off on the right foot. Whether you resolve to achieve big goals or small, it’s all about doing something attainable and that makes you feel good. Even the smallest change can revitalize and inspire, and bring new perspective to the new year. 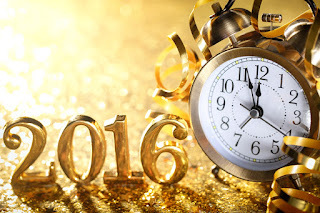 Happy 2016!